Women are increasingly seeking to explore their spirituality, honour the natural cycles and reclaim the lost rituals of the Wisewoman. 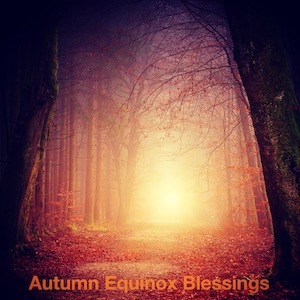 As a therapist and priestess, I specialise in teaching women about the mythological cycle of the year, guiding them on a path of healing and empowerment using transpersonal techniques such as guided meditation, ritual and creative expression. This article is the seventh in a series of eight exploring the different celebrations, myths and archetypes associated with the eight pagan festivals of the year. Samhain is the pagan Festival of Death and Transformation celebrated on 31 October, and upon which Halloween and All Hallow’s Eve are founded. On this night, it is customary to hold a fire ceremony in order to release all that no longer serves you into the fires of transformation. During this powerful energetic gateway of Venus and Samhain into the underworld, I will be leading a circle of women deeper on this journey into the shadowy depths with Lilith as our guide this weekend 3-4 November 2018 at The Glastonbury Gnostic Centre & Chapel, and bringing them back out with the Black Goddess Sophia’s light illuminating our way on 1-2 December 2018. If you feel inspired to join us on both weekends to experience the descent and ascent, I’m offering a 20% discount of £79 off the total cost. Payment plans are also available to help spread the cost. For further information and to apply, please CLICK HERE. Annabel Du Boulay is the Founder & CEO of Belashka Ltd - an author, speaker and expert in guiding individuals and groups on a life-changing path of self-development towards authentic relating and leadership.